I’d visited the Disney animation studio as a 16-year-old boy co-editor of “The Hollywood STAR-NEWS,” the mimeographed magazine Louis Desser and I put out when we were high school students. Even then, in 1941, when we went there to get a story for our little amateur publication, the Disney lot was an imposing complex of buildings in Burbank. It was what an animation studio could be at the peak of its existence. In June, 1946, I had only a foggy notion of what the young animation studio Bill Bernal was leading me to would look like. I soon found out. It was in a tiny building on Selma Street in Hollywood, just steps from the iconic corner of Hollywood Blvd & Vine Street. It was actually the headquarters of the Otto K. Oleson company, the suppliers of those enormous Klieg Lights that swept the Hollywood sky, beacons pointing the way to movie theater premieres. The Otto K. Oleson building was only about three stories high. At the roof top were built a few rows of offices. But the hallways were completely unroofed and open to the sky! And despite of the legends, it did occasionally rain in Hollywood! At the time I arrived, the studio was recovering from a creative and conceptual chasm. Co-founders, Dave Hilberman and Zach Schwartz had just split. I didn’t meet them until years later. The tiny studio was in transition for survival. It still suffered with the klutzy and distinctly deadhead moniker, “United Film & Poster Service,” but they were already beginning to call themselves just plain “United Films,” which reflected their left-wing political leaning. During my first month there, I was hearing plenty talk about the need for a new, more imposing name for the outfit. Most of the suggestions bounced around were gags, and it was the most extravagantly inflated and absurd name that was actually adopted, “United Productions of America!” (Can’t you hear drums & trumpets like the 20thCentury-Fox fanfare?) It was a mighty moniker for a group of 10, but it reflected huge ambitions, even though it was later trimmed to the more modest initials, UPA. Steve Bosustow, producer, John Hubley, creative leader, Phil Eastman, storyman/writer, Bill Hurtz, design and layout, Herb Klynn, background painter, Barbara Baldwin, ink & Paint leader, Joyce Weir, staff animator, Selby Daley, assistant animator, (soon to marry “Pogo” creator Walt Kelly). Ade Woolery, production manager, and me, Gene Deitch, 22-year-old studio twerp. Aside from the basic nine that I can remember. I became number 10, but only as a part-time apprentice Other UPA stalwarts, such as Jules Engel, Bobe Cannon, Ed Gershman, Maxine Davis, and many more, were either externists or yet to come on staff. It was now Steve Bosustow who was head honcho, apparently by dint of some inherited money. He was not on the creative level of the collection of former Disney stars who were the bones of the staff. Steve had been an obscure assistant animator at Disney’s, and was one of the most radical strike leaders during the struggle for Union recognition. What Steve had was charisma. 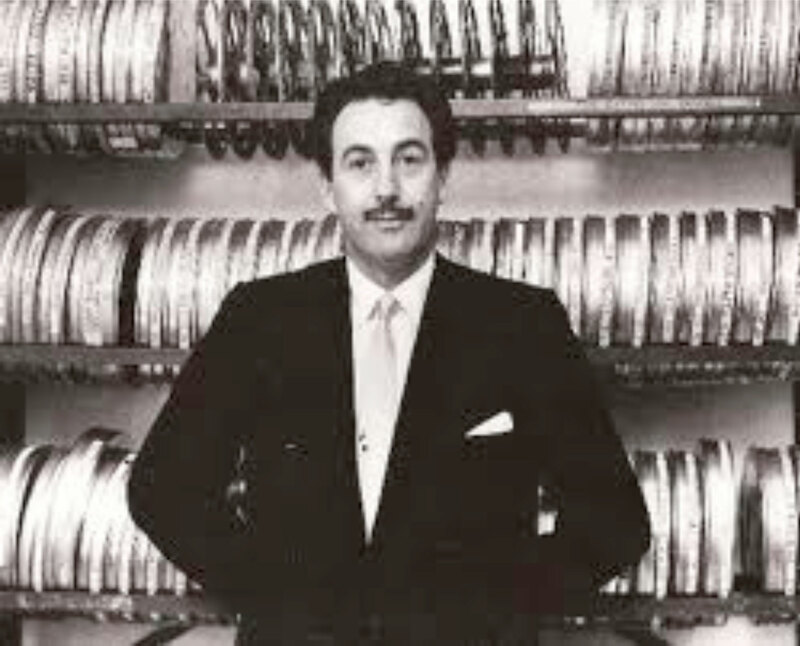 He looked good; dapper, with his 1930s moustache, and most fortuitous, a remarkable resemblance to Walt Disney! What’s more, he had Walt Disney-size ambitions, feeling sure that UPA would one day rule the world of animation. Of course, we all were believers. UPA was a religious center for us, deeply convinced that we had the key to cartoon Gloryland; that we posessed the animation mojo. “Three Eggs In The Fountain!,” paraphrasing a song written by my temporary cousin-by-marriage, Sammy Cahn…. It all now seems like a dream, working on the cruddy roof of that tiny Otto K. Olesen building; with a band of impoverished UPA geniuses. Years later, after I had migrated to Detroit and became a director on my own, he tried to woo me back at a lesser position. He laid his hand once again on my somewhat fleshier shoulder, and said, “Gene, you’re a good Marxist, aren’t you?” This was code; that we all toiled for brotherhood rather than mere money. But hell, to be brought into New York with a key job at UPA was enough thrill fulfillment in itself, and I joyously went for the ride, and glad that I did. Great creative days followed, in spite of the continuation of the Bosustow routine of keeping UPA afloat on bubbles of hot air. It became clear from day-one that our role at the New York branch was to earn money to support the Burbank studio. We were assigned to do commercial work, using the UPA-mystique, as critical darlings of the animation world, to attract the highest paying clients. All of our income had to be sent to the Burbank studio bank account, and each week we had to wait for our paychecks to arrive in the mail. Nearly every week, we who were the nominal executives, had to virtually barricade ourselves in the office when the paychecks failed to arrive on time. We were paying Burbank’s bills, but could hardly pay our own. What did arrive on time were the regular recorded Dictaphone belts from Steve, delivering his weekly pep talk and general instructions. It had the advantage to him that it was a one-way message. We couldn’t talk back. We could only razz his recorded voice. Aside from money, we were able to deliver at least two golden UPA publicity events. We were in production on a public service film, written by Bill Bernal and me, titled, “Second Sight Sam,” about a circus mind reader. Exactly at that time I was contacted by a TV personality named Sonny Fox, who did a weekly “coast-to-coast” live-TV show called “Let’s Take A Trip.” Each week Sonny, (a grown up personality), would usher a little boy named “Pud,” and a little girl named “Ginger” on a “trip” to a factory, farm, shipyard, or whatever. They had now decided to take the kids to a cartoon film studio, and had picked our conveniently situated UPA studio in mid-Manhattan. It was a fantastic chance not only to showcase our studio to a national TV audience, but also to give an unprecedented free gift of a national prime-time preview of our client’s new film, luckily a public service film, and not advertising a commercial product. So we set up the show to guide Pud & Ginger through each stage of the creation of this film, walking them through the storyboard, the layouts, the animation, inking & painting of the cels, painting of the backgrounds, camera shooting, and finally showing them the finished film on our studio Moviola machine. I was on camera the whole time, walking the kids through it all. What’s more, we had to do it all twice, because in those days before taping, we had to do the broadcast live for the Eastern half of the country, and repeat it all for the west. So this show promoted the UPA/New York studio, me personally, our creative personnel, and our “Second Sight Sam” film and clients, all at once! Steve was in tears of joy, and I was plenty revved-up myself! Our second major coup was more local, but of even higher prestige. UPA was on West 53rd Street, and the Museum of Modern Art was on West 53rd Street, right on the same block! MOMA suddenly decided to do something that had never been done before, especially such a classy museum; to do a month of screenings of the new phenomenon, animated TV commercials of a high graphic standard – ours, of course! It was an unimaginable breakthrough! Each day for a month, The New York Museum of Modern Art screened an hour program consisting of TV commercials, all directed by me, plus the daily screening of a kinescope recording of the “Let’s Take A Trip” TV show with me in it from start to finish, and all without a publicity agent! Steve couldn’t stay away from this one,. He flew in to New York in time to personally introduce the MOMA show press conference, and to introduce me as his Main Man. He didn’t mention anything this time about Karl Marx. It was my defining moment; but it was 1954, and already UPA was mortally wounded by Senator Joseph McCarthy’s Red-Hunt. John Hubley, already thrown to the witch-hunt wolves by Steve, got his revenge by making me a high-paid offer to lead the New York branch of his own new studio, Storyboard, inc. Somehow, he had overcome his political stigma with enough personal clients to become very successful. Oddly, McCarthy limited his targets to entertainment films reaching the broad public, and had not bothered to purge TV commercial producers. They weren’t yet high profile enough to add to his glory. I sensed that Hub’s hiring me was more of a slap in the face to Steve, who had failed to save him, than it was such a desire to have me work with him. Yet I blinded myself to everything except that my personal animation guru, had called me back into his ashram. It turned out to be a bad move. It was the last of my UPA hay-day. That 1954 “Let’s Take a Trip” kinescope film recording, is another one of my lost treasures, perhaps interred somewhere in either the CBS or MOMA archives. My similarly lost Howdy Doody film miraculously surfaced many years later, so perhaps this one will too. So far, no luck. I dearly hope I will live to see it again! After those glory years, UPA eventually imploded, but its influence was pervasive, even retro influencing Disney. 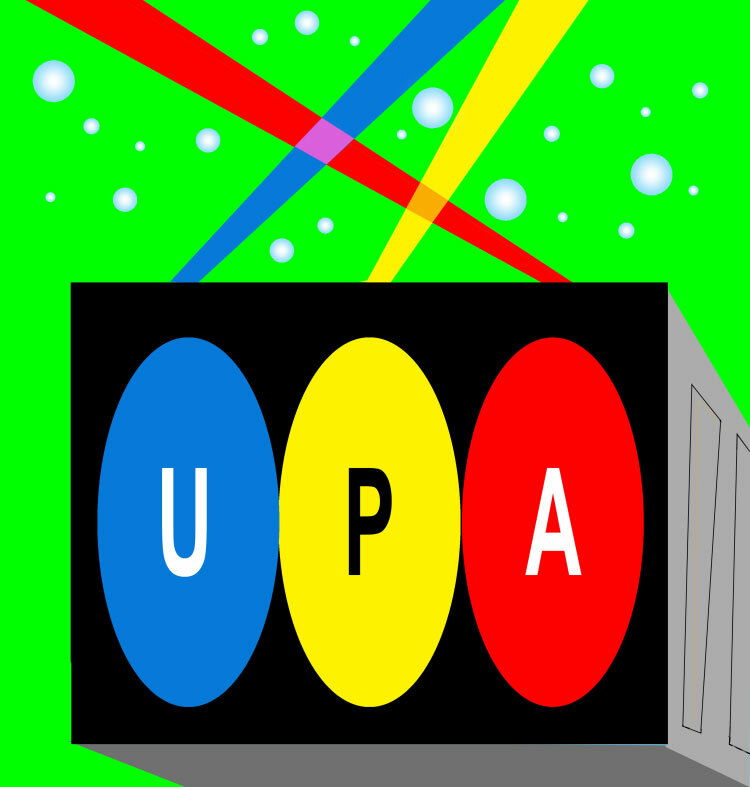 I proudly hold myself as a “UPA man,” in my way of thinking and working in the medium. Though Steve was not the actual UPA creator, he was its greatest proselytizer. He had, as they used to say, the gift of gab, a smooth talker, and thus the perfect front man for the studio. Many years later, when all was forgiven, Steve Bosustow visted me in Prague. We had a great dinner together and talked of our old glory days. I never saw him again. He died at only 70 in 1981. Steve. He dreamed the impossible dream. For a while it came true, and cinema animation made a Great Leap Forward. Nearly everything done today is possible because UPA opened the door all the way! The more one thinks about the story of UPA, the more it seems to play out as a Greek tragedy. Steve Bosustow, who gained (nominal) control of the studio just as I was brought into it, was a tragic figure., without the intellectual capacity to understand what he was doing. I never spoke to a single staff member of UPA who respected Steve as a leader. He was in fact a company joke. I had a difficult time keeping a straight face when dealing with him. He never had creative control, and he allowed the chaotic free-wheeling that was on the one hand UPA’s glory, but on the other hand led to its destruction. There was no reasonable guidance. Steve gloried in the fact that the intellectuals of the artistic and literary world took us seriously. By the time I was creative leader of the New York outpost I had to constantly disabuse starry-eyed visitors that we were not actually a grandly funded experimental think tank, but a business, hanging on a financially frayed thread. Our image is what sustained us, but if we were to survive in the long run, we should have avoided taking ourselves too seriously. UPA turned out to be hopeless and destined for destruction. The studio hadn’t the strength to withstand the tsunami of anti-communism. Maybe there was no way, considering the nearly universal liberal-left leanings of the creative staff. From my later experience of having been shipped into a truly communist country, I realized that none of the UPA stars who had become enamored of the ideal of communism, had any idea of what it truly was. In the early UPA days, we were simply naive idealists, groping for a world of justice and tolerance, and equally misled by both the “socialist” and “capitalist” propagandas. I’m still wondering if there is any system yet conceived for organizing such malformed and unreasonable creatures as humans into any system that could live up to its promise! We’re fated to cope with the world as it is. UPA actually did make a huge contribution to graphic awareness and meaningful content in animation aimed at the general public. In spite of inept leadership and failure to survive, UPA did set a high standard which widely influenced animators everywhere in the world. Others are now carrying the torch, and we can still echo the slogan of the civil rights movement: “Keep hope alive!” Whatever, I was proud to be there, and of what I did there. Abraham’s book is excellent.However, I’m amazed at how political it is:from the cinders of the Disney Strike to the HUAC trials, UPA seems imbedded with strife. Even the people seem to be competing with each other in a vicious way. If this were true, it’s amazing that the delicate, gentle and brilliant films emerged from this environment despite the backdrop. Michael, it was ever thus! We can’t buck the odds. When I worked at UPA the strife was always in the air. Only Christian Scientist Bobe Cannon seemed to float above it, but he also floated above reality. I never felt a moment of security at UPA. It was the elusive dream that maintained us. Each of us in a creative position simply took advantage of the opportunity to show our stuff. How about Leonard da Vinci? Did he really believe in the religious dogma he painted? I think he took the church’s money and ran with it. Overcoming strife seems to be the name of the game in art. Look at Van Gogh! etc. etc. A fascinating postscript, Gene. Although I think UPA was an experiment destined to have a sort life, it’s a shame that the political climate of the time helped speed the process. Steve Bosustow came a long way from working on Cubby Bear cartoons at Van Beuren!